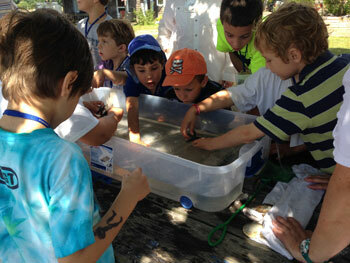 It was a beautiful day for the 19th Annual Branford Land Trust Environmental Day Camp, held on Monday, August 18. We had 32 campers and 20 volunteers. The kids enjoyed a live bird program and a puppet show, participated in a fun program by Curious Creatures, created fish prints, explored the woods and caves, and got to handle all kinds of sea creatures! CLICK HERE to see more photos on our Facebook page!